This version of the Subaru BRZ is an update on the model that first appeared in 2012 and was developed alongside Toyota, which has its own version of the same car, dubbed the ‘GT86’. It’s a traditional sports car in a modern world, so can the little Japanese machine still cut it? Why buy one over some more powerful alternatives? There are a lot of questions that need to be answered, but fear not, we’re on the case. How does the Subaru BRZ Coupe perform? There’s no strict recipe when it comes to building a sports car, but the 2017 Subaru BRZ instantly wins over fans by sending its power to the rear wheels only. Now, there isn’t a lot of power available – the 2.0-litre flat-four ‘boxer’ engine produces just 200PS, far below many hot hatches of the current age. That engine, though, is quite a sweetie. Unusually, there are no turbochargers to be found and, as such, the powerplant is a free-revving, chirpy block and relishes the application of a racer’s right foot. It’s a whole lot of fun to get singing on a back road, even if it isn’t the fastest car on the road, 62mph comes up in 7.6-seconds – a second or two slower than many hot hatches. While it may be beaten comfortably by most modern hot hatches, in terms of sheer speed, the 2017 Subaru BRZ Coupe makes up for it by providing a razor-sharp and engaging driving experience that’s really very hard to find in any contemporary car. 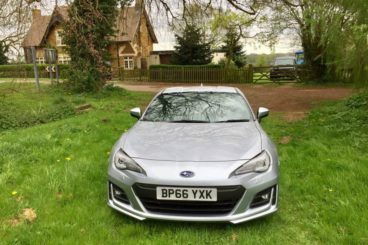 Everything about the BRZ feels bright and super-responsive, from the steering and the excellent manual gearbox all the way through to the brakes and that eager throttle pedal. It’s an intoxicating vehicle that really puts a smile on your face – and that’s exactly what small sports cars like this should do. 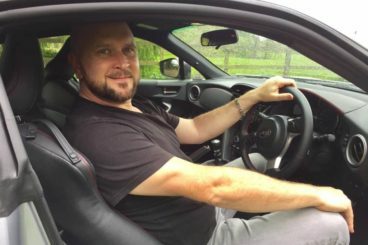 If you really love to drive, you’d best avoid the automatic transmission as this old-school feeling sports car really deserves to be driven with the manual gearbox that’s just so involving and fun to wrap your hand around. Once you’ve got to know your 2017 Subaru BRZ Coupe a little, you’ll be capable of getting the best out of it. Subaru has previous expertise in performance cars, having made the Impreza for many years – and now the WRX STI performance saloon. Just because it has worked alongside Toyota in the case of the BRZ doesn’t mean that style and design has been skimped on. The 2017 Subaru BRZ Coupe is a sleek, low-lying machine, looking every bit the sports car. Furthermore, its compact dimensions are a blessing on the twisty back roads of Great Britain, where bigger cars just can’t use the road as much. The interior of the 2017 Subaru BRZ Coupe isn’t spectacular, but it’s far from poor – and there are some nice touches inside that make it feel more special than it would have done otherwise. It’s certainly better in this newer version than it used to be in the older one. Black seating with red stitching is sporty in feel, but the overall quality isn’t any more special than a standard Subaru or Toyota. The key here is the ergonomics of the interior, though. Everything is set up for the driver, and the seating position is excellent; it’s a very well thought out design, even if the execution is perhaps not the finest. This said, it’s a compact sports car, not a luxury cruiser, so it will meet most expectations. With the rear seats up – seats only really of any use to small children we should add – there are 243-litres of boot space. Practicality just isn’t the BRZ’s thing, but it’s not a tiny boot and you can always drop the rear seats for a little extra room too. Technology takes a bit of a back seat with the 2017 Subaru BRZ, not because Subaru hasn’t wanted to include it, but because this is a car that looks backwards just as much as it looks forward. It’s a simple machine with little in the way of toys and gadgets, but it does come with the usual bits and bobs all modern cars are fitted with. Climate control, cruise control, electric windows, and traction control, of course. There’s also a Limited Slip Differential to direct power to the rear wheel that has the most traction; a device that’s worth having on a sports car. Subaru is making a big thing out of its inclusion of its ‘Starlink’ navigation system that allows you to keep up the latest news and weather as well as directing you to your desired location. It isn’t the most spectacular system in the motoring world. It’s far too fiddly for our tastes, but it’s something we’d much rather have than not have, even in a car that’s really designed for pure driver enjoyment. The 2017 Subaru BRZ starts at fifty quid over £26,000 but it can reach £27,995 if you go for an automatic transmission option. We’d avoid that though, as it’s a far better car in manual form. On the lease market, we found a couple of BRZs available for under £350 a month for personal contract users, but they’re hard to find at that price. You’ll need around £3,500 as a deposit to get one for that price, too. For business customers, the prices are slightly better and you can get a BRZ for under £300 a month with a similar deposit put down first, though it isn’t much of a business user’s car! It’s amazing. This car drives as good as anything out there, be it a fire-breathing supercar or a fine-tuned hot hatch. It has a beautiful balance and there’s a precision to the car that really shines when you start to go faster. Just be careful not to push your luck! Okay, so the 2.0-litre ‘boxer’ engine isn’t the most potent unit in the world, but it is normally aspirated, which means it is very responsive and sensitive to the inputs of your right foot. It’s how sports cars used to be before turbocharging took over the world, and we love it. There’s something about a sports car that tugs on the heartstrings and the 2017 Subaru BRZ has a lovely angular, modern look that really catches the eye. It’s no Aston Martin, but for a car that’s under £30,000 we can’t think of many better lookers. If you love to go fast more than anything else, then this might not be the car for you. This is the kind of motor that requires skilful inputs and a capable technique. However, it will be outpaced by many of today’s hot hatches, which could leave a bitter taste in the mouth, as some of those cars are cheaper than the BRZ. Being rear-wheel drive and running on thin tyres, when you reach the limit of grip with the BRZ you’re likely to suffer over-steer. For many people, this is a lot of fun, but if you’re not experienced you might find yourself facing the wrong way, or worse. Another reason why buyers have tended to look towards hot hatches is the lack of practicality. It’s all well and good having a sports car, but the rear seats are more or less useless, although the boot does offer 243-litres. Often, the Subaru BRZ Coupe is compared with the Mazda MX-5, but in our test, we’ve opted to compare it with the Mazda’s cousin the Fiat 124 Spider. The Spider was a joint venture between Fiat and Mazda, just like the BRZ was between Subaru and Toyota. We’ve also thrown in one of the most fun hot hatches on the market – in the form of the Ford Focus ST. Will it persuade you that the days of the sports car are over? 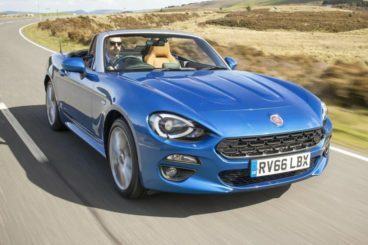 There was an awful lot of excitement in the motoring world when Fiat announced that the 124 Spider was making a return. The original car was a cult classic in the 1960’s, and the new one was being made alongside the fresh Mazda MX-5, one of the most successful roadsters of the modern age. Powered by a 140PS 1.4-litre turbo engine, the little Spider is down on muscle compared with the 2017 Subaru BRZ Coupe, but it’s a lighter car. Weighing in at just 1,050kg it’s almost 200kg lighter than the Subaru. Lightness in sports cars is almost as important as outright power, so it doesn’t really lose out, despite being 40PS down. It reaches 62mph in 7.5-seconds and sends power to the rear wheels. Despite being just as fast as the 2017 Subaru BRZ Coupe it isn’t as precise, or as pure in feel, and the BRZ would be faster on a circuit. The real question you need to ask yourself is if you’d like a roadster more than a sports car. A roadster is more suited to people who like to drive briskly, whereas the sports car is more appropriate for those drivers who want to explore the limits of the car and their talents. Motorists who really want to look back towards sports cars in the past may well prefer the BRZ’s 2.0-litre boxer engine, as it doesn’t have a turbocharger. It’s also a bit more responsive than the Fiat’s 1.4-litre unit. One last thing, if the Fiat 124 Spider isn’t quite brash enough for you, you may want to look at Abarth’s version of the 124. It costs a few more bob, but it gets a boost in power and a sportier, angrier overall finish. It’s a big debate during this modern era – is it worth going for a sports car when modern hot hatches drive well and have more power? They might not be rear-wheel drive and they may not have the fine sense of balance that a sports car has, but they do have more practicality and can beat many sports cars in the corners and in a straight line. The Ford Focus ST is powered by a 2.0-litre turbo petrol engine that produces 250PS, a whopping 70PS up on the Subaru. This sends it to 62mph in just 6.7 seconds, and with plenty of entertainment too. Putting 250PS through the front wheel isn’t without event, the wheels scramble and the steering tugs at your hands, requiring you to hold on and correct as necessary. 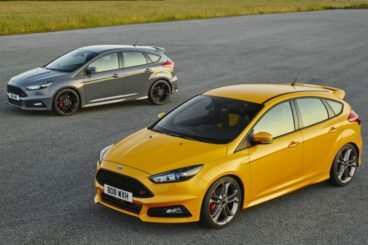 It’s not exactly balancing the weight of a sports car – a skill that requires more, well, skill – but, it doesn’t mean you can jump into the Focus ST and get the most out of it straight away. We’d be lying if we said it was as sharp as BRZ; little else is. But it is more commanding and it will beat the 2017 Subaru BRZ comfortably with the extra power, even though it’s another 200kg heavier than the Scooby. If you need to have fun but still require some practicality, or you simply want to be able to beat a BRZ, this might be the car for you. If you’re chasing the purest possible driving experience, the 2017 Subaru BRZ is a wonderful driver’s car that gets about as close as possible to an old-fashioned feel in a modern package. It’s not perfect, but it’s sharper than a 124 Spider, even though it’s heavier. Oh yes, and don’t forget the Subaru comes with a five-year, 100,000-mile warranty, too! Looking For A Price For The Subaru BRZ Coupe? Fill out the form below with your details, and one of our highly qualified vehicle specialists will bein contact within 24 hours.